I would wait and see what Weistec comes back with they may just send you a brand new one or do a full rebuild of yours, they stand behind their product from what I know of. Good luck keep us posted as to the out come. Thanks. I will keep everyone posted. I have confidence in them. I'd be more worried about the piece of metal that went through your engine. I'm not so sure that is even possible. 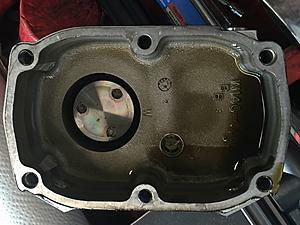 Everything is closed up so to get a piece of metal into the supercharger would be impossible. I'm fairly certain something inside the SC failed/broke causing the initial problem of the prongs on the snout snapping. They didn't just randomly snap. I'll let u guys know what Weistec determines. I'm anxiously waiting. Anybody look into the cylinders? compression/leakdown results? Ah yes because ther is the heat exchanger right. That's good news. You said this piece wasn't found, where did it go? Can we see some pictures? I have never heard of a modern twin screw failing in this fashion before. I would assume that is a pretty uncommon failure. Weistec seems to be a super solid company so I wouldn't worry about that part. It seems there was after it was rebuilt that they did not catch. 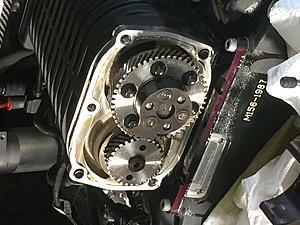 It is very unlikely (almost impossible) for the drive pins, or anything from the SC gearbox, to get into the engine. 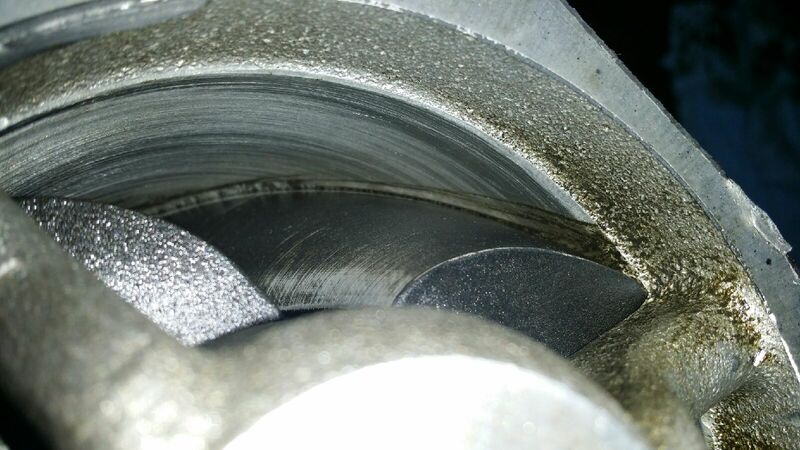 The typical causes for twin-screw drive pin failures are: Shock-loading, like the engine bouncing on the limiter; Foreign matter entering the intake & stalling the rotors; Misalignment; Bearing overload/failure. 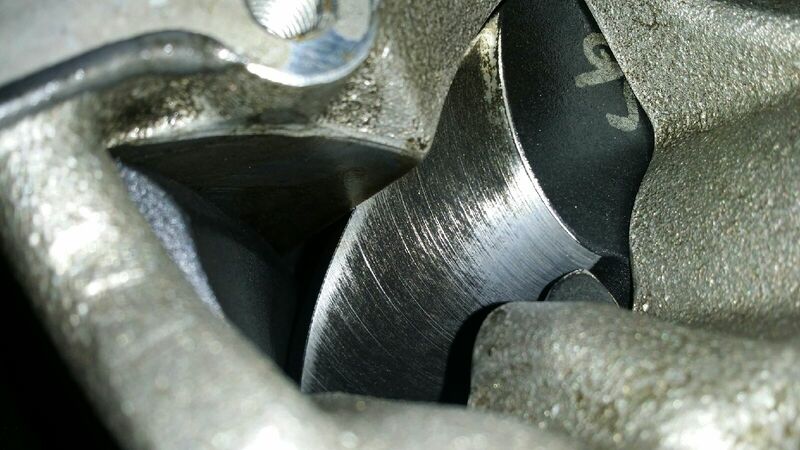 Chances are that the rumbling noise is from the front bearings have been compromised from debris off the broken pins or coupler. A relatively easy fix, & unlikely to have caused any long-term damage (once the bearings are replaced). It is not extremely uncommon - I have seen a couple of similar instances with that style of supercharger. I am told Weistec are good guys & stand behind their product. You should be fine. Well, I guess we will see. I believe we found all pieces and even if we didnt find them all there was no way for them to really get inside the unit. Something is weird about this but I havent pinpointed it yet. As of this incident I have felt like i was in good hands with weistec, however, I must admit, they have shown no sense of urgency on this and havent really bothered to follow up with me unless I hunt them down. They seem to avoid phone conversation even after multiple requests for them to simply call me. And as far as emails, they only email me after I reach out to them several times. They have had the unit for a full two weeks now and they have given me zero feedback. Beginning to lose faith in them or at least some trust. sad thing is, I was planning on building the motor soon, however, I am having second thoughts with the lack of urgency. I'll try to post the two pics from my mechanic in a second. I'll keep everyone posted once i eventually hear back with some solid information. Thanks for all your kind words. Here are the two pics I have of when the prongs broke. As you see in both pics they are still all in place, just snapped. The only issue I have ever had with Weistec was getting someone knowledgeable on the phone. They put out very advanced products, but when semi technical questions arise I had trouble reaching someone in their calibrations department. When I finally did talk to someone I do not believe he was one of their tuners, but he was more advanced then the sales person on the phone. Been reaching out to Weistec....they have had my supercharger since Jan 21. I have asked them numerous times to call me to discuss and give me and update with zero calls as of now. I'm beginning to get a bad taste in my mouth for a company whom I have spent a ton of money with and planned on spending a ton more with to build the motor. Definitely having second thoughts.....very disappointed with their lack of communication. I'll update once I eventually get a resolution. Who are you speaking to there?? I have been speaking with Rod & Zach. This has definitely dragged out more than I expected. Up until now I've had great experiences with Weistec. I'll try Steve. Thanks for the input. Did the bearing go and the rotor hit the wall? Looks like you need a new unit. How many miles on it?